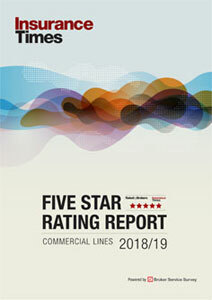 Industry leaders are being warned the FSA is preparing a clampdown on ancillary and specialist products following latest figures showing an alarming rise in customer complaints against the insurance market. The Financial Ombudsman Service (FOS) figures for 2010 showed payment protection insurance (PPI) complaints more than doubled to 104,597, fuelled by claims farming. Complaints against specialist insurance products in general rocketed 66% to 1,791 last year. Aware that it must avoid another mis-selling scandal, the FSA has specialist products on its radar, including mobile phone insurance and ID theft, as well as some add-on products. There is concern that customers are being pressured into buying the products, only to later find that they were never eligible to claim or were already covered by another insurance product. The FSA has raised the issue with larger brokers, especially those operating in personal lines, during its recent Arrow inspection visits. Towergate chief executive Andy Homer told the recent Biba conference that Towergate had received “attention” from the FSA over add-on/bundled products. He said that there was going to be extra scrutiny around conduct of business. Brokers would need to think carefully about how their products had been sold. Unless intermediaries were careful about explaining products to customers “we could find ourselves being drawn into apparent mis-selling”, he warned. Both the FSA and Westminster are alarmed by some of the huge margins being made through the sale of add-on products. 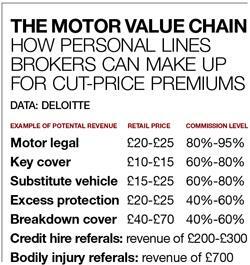 A study by Deloitte, released last October, revealed that personal lines brokers on aggregators can take 80%-95% commission selling motor legal products for £20-£25. Commissions of 60%-80% can be taken from selling a key cover policy for £10-£15. An FSA spokesman stressed its new policy strategy was to intervene in the design of products, as well as swooping on products already being mis-sold on the open market. The FSA bared its teeth by swooping on credit card insurer CPP in March to prevent it selling ID theft insurance, a specialist insurance product that has undergone a sales boom in recent years. The intervention triggered a profits warning for CPP and a share price crash. The intervention followed concerns over the validity and purpose of the product. Another specialist product, mobile phone insurance, is next in line in the intervention priority list. The FOS said in its annual report that customers had been misled into believing they were obliged to buy insurance alongside their phones. 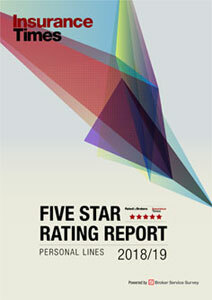 Mobile phone complaints took up around half of the 1,791 complaints against specialist products. Biba has not yet had any official contact from the FSA over the sale of specialist or add-on products. Director of sales at UK General John Bibby leapt to the defence of brokers, stressing that ancillary and add-on products had a valuable role to play, although it should be explained clearly to the customer exactly what they were getting. He said the commission earnings also helped brokers to subsidise other insurance products sold at a very competitive rate.